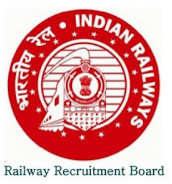 South East Central Railway (SECR) Walk in Interview for the post of Para Medical Staff on Contract Basis. The Walk in Interview scheduled to be held on 19th and 20th February 2016. Staff Nurse -> Certificate as registered Nurse and Midwife having passed 3 years course in General Nursing and Midwifery from School of Nursing OR Other Institutions recognized by Indian Nursing Council OR B.Sc (Nursing). Lab Attendant -> Matriculation with science plus Diploma in Medical Lab Technology (DMLT). Lab Supdt. -> B.Sc with Bio-Chemistry / Micro Biology/ Life Science or equivalent plus Diploma in Medical Lab Technology (DMLT) or equivalent OR B.Sc in Medical Technology(Laboratory) from a recognized University. Pharmacist -> (10+2) in Science or its equivalent, with 2 years Diploma in Pharmacy and registration with Pharmacy Council of India OR State Pharmacy Council (Proof to be attached). Receptionist -> Bachelor degree in Hospital Health Management from a recognized University and Two years of experience as a Receptionist in a Hospital of repute. Clinical Psychologist -> M.Phill / PH.D in Clinical Psychology. Physiotherapist -> 10+2 (with science), plus Diploma / Degree in Physiotherapy. Health & Malaria Inspector -> B.Sc Chemistry plus 1 year Diploma in Health/ Sanitary Inspector (or) 1 year National Trade Certificate (NTC) in Health/ Sanitary Inspector awarded by National Council for Vocational Training, Ministry of Labour and Employment, Govt. of India, New Delhi. Registration for Walk-in-Interview for Staff Nurse, Lab Attendant, Lab supdt. Receptionist on date - 19/02/2016 will commence at 09.30 A.M. and will continue up to 12:30 hrs, and for Pharmacist, Physiotherapist, Clinical Psychologist, Health and Malaria Inspector on date - 20/02/2016 will commence at 09.30 A.M. and will continue up to 12: 30 hours.